Our A-Access Locksmith in Charlotte talks about scenarios where you need to get your locks changed and how you can go about doing so. Did you lose your home keys? Did you just move in to a new home? To maintain the highest level of security and safety of your home or business, every single outdated lock must be changed. You can sleep better knowing that you, your family and your valuables are safe, and as a business owner, your investment is well protected. Never settle for less. Leaving your home unsecured for even the briefest of time can be very risky. Changing the locks of your home is a swift procedure and will only take a few minutes. Many people have been victims of theft and home invasions because the locks that they thought were going to keep them safe were easy to bypass. Be sure to change the locks for your home or business when required. You need to change the locks if you have just moved into a new home. If you are a rental property owner, the locks must be changed whenever a new tenant moves in. You also need to change them if you had a roommate move out. If you have outdated or broken locks. You have been a victim of crime or theft on your property grounds. Changing locks will help prevent the crime from occurring again. There are other instances as well. If you are unsure of whether you should get your locks changed, it’s better to be safe than sorry. What Makes A-Access Different From Other Charlotte Locksmiths? Need your locks changed? Call our highly trained locksmiths. We change locks on commercial and residential properties. Call A-Access Lock & Key at 704-545-5410. Do not settle for substandard locks from substandard locksmiths in Charlotte. You and your home deserve the best security. Our A-Access Lock & Key team can change your locks and secure your establishment. We understand that finding a trustworthy Charlotte locksmith who can quickly and efficiently get your locks changed can be sometimes frustrating, but as a full-service Charlotte locksmith, we at A-Access are experts in handling lock emergencies of any kind. We have hundreds of customers who are happy with our quality of work, timely service, and efficiency, which gives us a very distinct identity in the city. When you call us, you are sure to receive prompt and efficient service, whether it’s related to our Charlotte residential locksmith services or our Charlotte commercial locksmith services. We can even tailor our services to meet your needs. 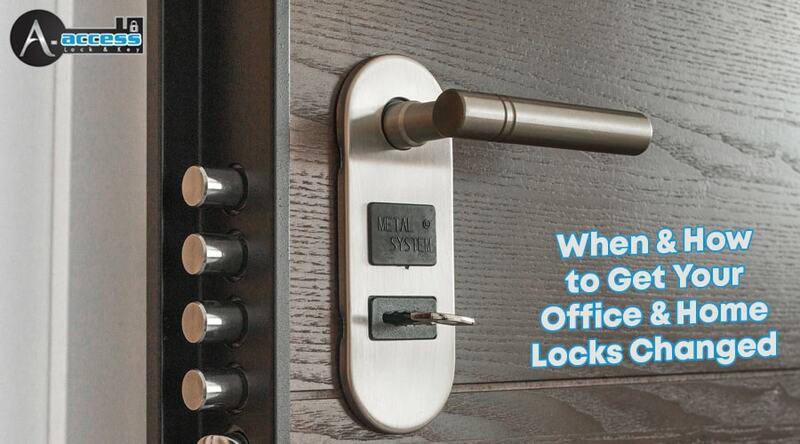 Need your door locks, mailbox locks, or office locks changed? Your answer is A-Access Lock & Key. Depending on the number and types of locks that need to be changed, we usually finish our work within an hour or less. Call 704-545-5410 and one of A-Access Lock & Key’s representatives will help you immediately. We are a fully Licensed Locksmith in Charlotte NC, serving the city for more than twenty years. We know that secured residential locks can give you the confidence and peace of mind while you are inside or outside your home. Our services include lock replacements, lock repair, and lock installations for your home or office. Give us a call at 704-545-5410 now. Get your Locks Changed through our Expert Locksmith services!